Our Company is actively enlisting the finest Executive Chef in the hospitality industry to be a part of our Team. We seek high-energy leaders focused on providing exceptional service ensuring each dining Guest has a stellar experience. Apply Today for our location in Huntsville, AL Our team operates with a hands-on approach at every level, integrated in our vision of delivering world-class service. The hotel has over 200 rooms and over 12,000 sq.ft. of meeting space plus a comfortable bar and an incredible restaurant. Don’t miss this great opportunity as an Executive Chef, Apply Today for our location in Huntsville, AL. After 30 plus years in the hospitality business working for some of the nation's premier brands, Bob is pleased to partner with Gecko Hospitality, the Nations Largest Restaurant and Hospitality Management Recruiting Firm. As Gecko’s Franchise partner in Tennessee Bob will be working directly with Hotels, Resorts and Country Clubs throughout the state to bring great talent together with great companies. 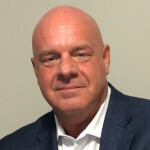 Prior to teaming up with Gecko Bob spent nearly two decades with the TGI Fridays organization, serving in a variety of leadership roles for company, franchise and international operations. Bob was also the Vice President of Operations of a Pick Up Stix, a fast-casual brand owned by Fridays. After his time at Fridays, Bob was a Director of Operations for Applebee’s with responsibility for 40 plus restaurants in Missouri, Kansas and Arkansas. Most recently he was an Area Operations Partner with Panera Bread, leading Bakery Café’s in both the St. Louis and Nashville markets. Bob has a passion for building teams and developing talent and looks forward to channeling this into changing lives in Tennessee one career at a time.